HARARE – Ruling ZANU-PF party has results won majority in parliamentary elections according to unofficial results but opposition is claiming fraud in the presidential vote. The opposition Movement for Democratic Change [MDC] is stepping up complaints that it has been denied victory by fraud and the authorities are preparing for protests across the country. But the Electoral officials have warned that gathering the results of the poll, which President Emmerson Mnangagwa said looked “extremely positive” for him, was “nowhere near” complete and no announcement would be made until as late as Saturday. 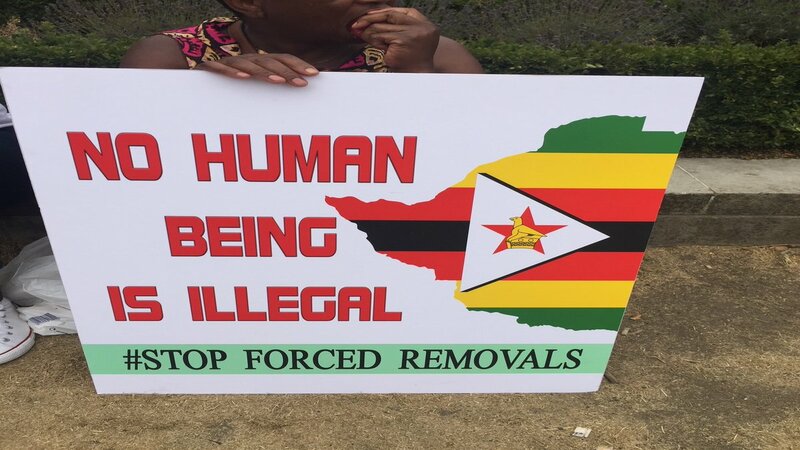 Mean time this has prompted Home Affairs Minister Mr Obert Mpofu to warn that anyone declaring unofficial results would “provoke the wrath of the law and risk being sent to jail”. “We have noted with concern the actions and conduct of some political party leaders… who are openly declaring that they will announce results irrespective of provisions of the law,” Mpofu said at a media briefing in Harare. “It is illegal to announce results before the Zimbabwe Electoral Commission (ZEC),” added Mr Mpofu. The commission has also warned that the results of the presidential first round may not be known until July 4 [Friday] or even July 5 [Saturday] and would not be released until tallies were received from all 10,985 polling stations. “We are nowhere near where we expected to be, so I can quite see us going into the fifth day which is allowed by law — but we are working flat-out,” ZEC chairwoman Ms Priscilla Chigumba told journalists in Harare. Tensions are brewing up in the former British colony and monitors have already warned of possible violence if the results are contested. Hundreds of MDC supporters gathered in the centre of Harare on Wednesday chanting slogans accusing election officials of bias and alleging that the powerful army had taken charge of government. It is clear that millions of people voted peacefully on July 30 in the first election since the army removed HE Robert Mugabe from power last year, long queues formed outside polling stations and turnout was recorded at 75%. This comes at the time election monitors are calling for votes in the Monday presidential elections to be counted in an open and timely way. 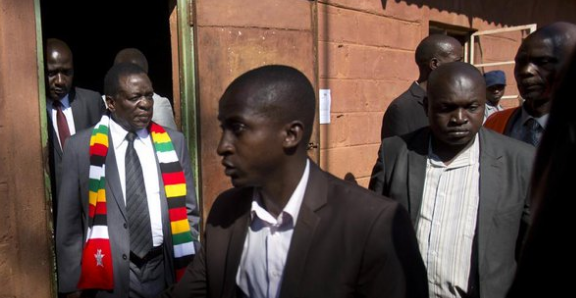 Although Zimbabwe’s opposition MDC party July 31claimed victory in the country’s historic elections, the government threatened to jail leaders announcing results as the wait for official tallies from the electoral officials. The attention on August 1 has shifted to the European Union’s electoral monitoring team which will deliver a much-anticipated report on the conduct of the campaign, the polls and counting processes. Their findings will also be an important verdict on President Mnangagwa, 75, who has staked his reputation on delivering credible polls. Observers from the Southern African Development Community (SADC) and the African Union will also deliver reports on the polls. Mr Biti had earlier accused the ZEC of deliberately delaying the publication of results to help President Mnangagwa’s ruling ZANU-PF party. “The results show beyond reasonable doubt that we have won the election and that the next president of Zimbabwe is Mr Nelson Chamisa,” Mr Biti told a press conference at the party’s headquarters in Harare July 31. 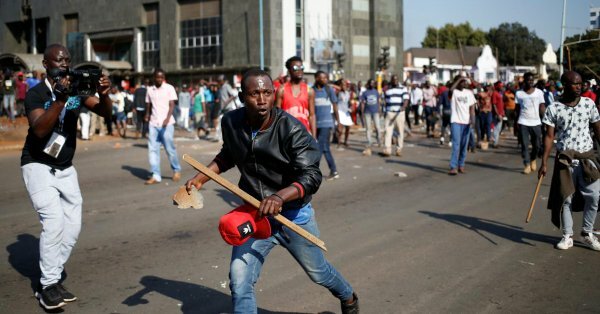 Hundreds of MDC supporters gathered in the centre of Harare on Wednesday chanting slogans accusing election officials of bias and alleging that the powerful army had taken charge of government while four water cannons and police personnel carriers patrolled nearby. ZEC chair Ms Chigumba has flatly denied allegations of bias and strongly disputed accusations of rigging. Analysts have said it was unclear whether the country’s generals, who ousted Mugabe and ushered Mnangagwa into office, would accept an MDC victory. 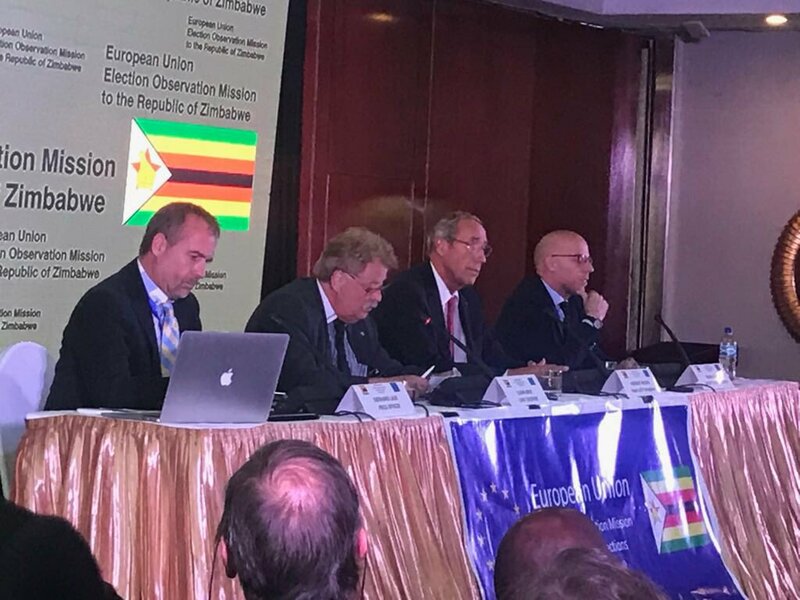 Mr Elmar Brok, head of the first European Union monitors to be allowed into Zimbabwe for 16 years, said the elections were a critical test of the country’s ability to reform. Mr Brok praised an “opening up of political space” but said the government had failed to ensure a level playing field, accusing Zimbabwe’s election commission (ZEC) of being one-sided. He called on ZEC to ensure detailed results were made public to ensure the credibility of the election given earlier shortcomings and other monitors also expressed concerns as the count went into a third day. “Election day is only a snapshot of a long electoral process,” said US congresswoman Karen Bass, one of the monitors deployed jointly by the US International Republican Institute and National Democratic Institute.